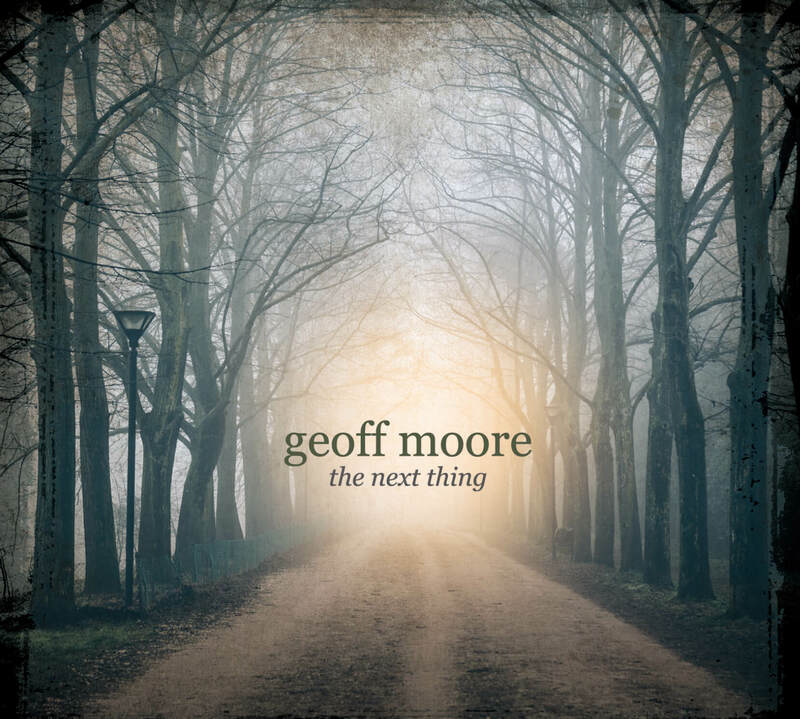 “The Next Thing” is the new project from multi-Grammy nominated Dove Award winner, Geoff Moore. A prolific songwriter and touring artist, Moore has joined the rising tide of A-list recording artists who have made the leap from major label to independent status, and he is thrilled with the freedom that shift has provided. No longer shackled by corporate mandated deadlines, Moore has the elbow room to create without compulsion. That means fans have had a five-year wait for his new project, but The Next Thing is definitely an album that is worth the wait. “When I was recording with major labels, it was the protocol to turn out a new album every 12 to 18 months,” Moore says. “But since I’ve been an independent artist, things are much more relaxed. I don’t feel the need to make an album just to make it. Instead, I have the freedom to write songs as I’m inspired. When I get a collection of songs that I feel is compelling enough, that all interact together, that’s when I know it’s time to make an album.” Moore points to a quote from Oswald Chambers as the inspiration for the title cut of the new CD, and as the thread that ties the songs on the album together. A collaborator at heart, Moore called on the talents of his friend and frequent co-writer, Don Chaffer (Waterdeep), to produce the project, and Chaffer and Moore joined forces to co-write nine of the album’s ten songs. The list of album credits includes background vocals from veterans like Sandra McCracken and Derri Daugherty (The Choir), along with relative newcomers like Jillian Edwards. Steve Hindalong (The Choir) supplied percussion, while Matt Slocum (Sixpence None the Richer) added cello and strings. Geof Barkley, a former member of The Distance, handled keyboard duty. This project includes a special dedication to all of Geoff’s fans who showed their support for his Kickstarter campaign to make this project possible. 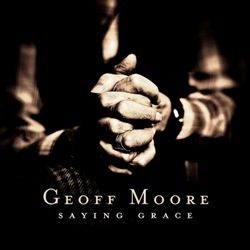 “Saying Grace” is the latest destination on the musical journey for singer/songwriter Geoff Moore. After almost 3 decades in music, over 1.5 Million album sales, multiple world tours, and multiple Grammy Award nominations and Dove Awards – Geoff still pursues his passion to share Christ through his music. 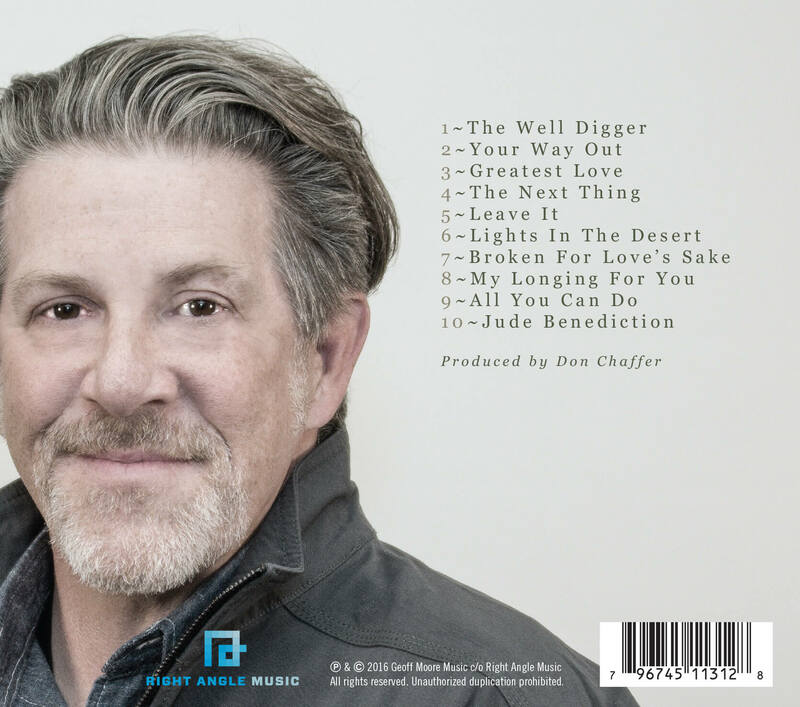 After a short hiatus from the recording studio after his 2008 Dove nominated “Speak To Me” Geoff returns to record an independently released milestone album of songs rooted around giving thanks for the blessings of a lifetime. “Saying Grace” is a soulful set of songs, ranging from the folk-pop sound of songs like “I Believe” and “Saying Grace” to the rocking track titled “Loved” that has a great Neil Young or Bruce Springsteen vibe. Geoff Moore has an amazing voice, a warm low tenor with a real world weary feel that gives it a soulful sound. The songs where written and crafted while working with producers Don Chaffer and Jeff Pardo. Over several sessions Moore, Chaffer and the other musicians spent time discussing the songs and how their lives, families and such where the blessings they were singing about. They lived out the songs, and that makes it real to me. Nominated for a Dove, Geoff’s record Speak To Me is an intimate and open record, welcomed like the voice of an old friend. Speak To Me is an acoustic-driven pop-kissed record that blends healthy elements of folk, contemporary, and even a hint of rock. “Your Day” begins with Moore’s signature near-whispered verses that give way to a wonderfully passionate, declarative chorus, “This is Your day / I’m going Your way / I cannot wait to see what You have in store for me today.” The record quickly shifts gears with the emotional and hopeful “When I Get Where Im Going,” a folk-flavored ballad that begs loved ones not to mourn when Moore sees his final day and gets to be with the Savior in heaven. The moving lyrics seem like what one might expect from someone like Johnny Cash, but musically “When I Get Where Im Going” is an epic ballad that features former Watermark vocalist Christy Nockels backing Moore with her powerful voice (which even drowns him out at times). Moore’s earnestness and testimony make this another proud feather in his cap. 25 Favorites is Geoff’s latest Greatest Hits Collection. An independent release in 2013, it chronicles Geoff’s favorite songs from his nearly three decades of music. Listeners will enjoy new digital masters of Geoff’s early hits: “Heart and Soul”, “Foundations” and “Passionate Man”. 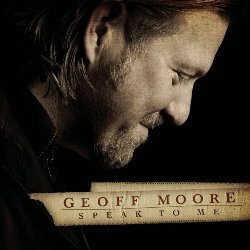 The collection also includes five songs from Geoff’s 2007 Dove Award nominated “Speak To Me”. The double disc set is available exclusively at geoffmoore.com and Geoff’s live shows. I would have kept more journals and taken more pictures to remind me of the amazing places these songs have taken me, and the even more amazing people I’ve met along the way. Through thousands of concerts and thousands more conversations many of you have give me a great gift. You’ve listened. – I’ve tried to do the same. I hope you can hear it in these songs. It was hard to pick the right ones. Hopefully, I’ve included songs that you love, or will after a while. As Always, I stand on a multitude of shoulders to do what I do. I’m deeply grateful to you all. I get to wander all over the world, chances are pretty good I’ll eventually be near you. I hope we can continue the conversations. Keep listening … I’m sure trying. 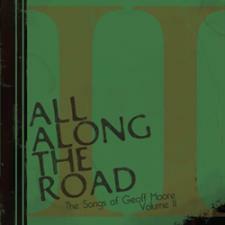 All Along The Road Vol I and Vol II is a collection of Geoff’s best known songs that can only be found at Geoff’s live shows and here at GeoffMoore.com. 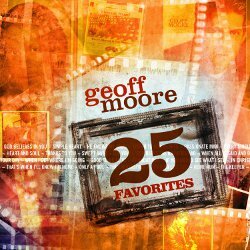 This 2 disc set spans the decades of Geoff’s career bringing the new and old fan their favorite Geoff Moore song. Each of these songs were re-recorded and digitally mastered. Also available as a digital download for the first time! Available as a digital download for the first time!